Anybody on here going? Lunch is on me if you are. If I don’t have to work, I may try to go. Some odd conformations in sales animals. I wonder how the pink eye situation is this year in the bulls? They have some good animals...Here is their website and directions. Depends on the weather, if it's cool and clear I'm hunting this year. The meal alone is worth the trip. Enjoy yourself and be careful you might get poop on your boots. True Grit Farms wrote: Depends on the weather, if it's cool and clear I'm hunting this year. The meal alone is worth the trip. Enjoy yourself and be careful you might get poop on your boots. I bought some of those hospital slip on shoe covers to prevent such an unfortunate incident as that. Last chance for any of my dear Cattle Today friends to reserve their free lunch tomorrow. Wish I could join you TT... enjoy the sale and send me pics of what you purchase! TN Cattle Man wrote: Wish I could join you TT... enjoy the sale and send me pics of what you purchase! I looked up the results. I don't care how many embryos you sell, I can't for the life me think you'll ever make $120K back on a heifer. I'm glad there are some folks who can do it, but I'm pretty sure that I would just be throwing $120K away. It will be interesting to see how her numbers stack up once she starts having some calves. Bestoutwest wrote: I looked up the results. 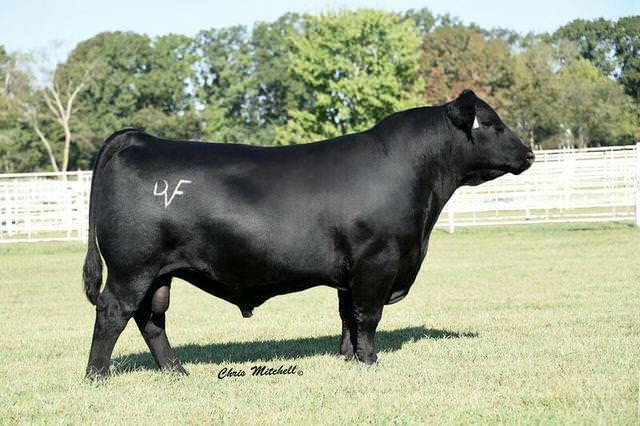 I don't care how many embryos you sell, I can't for the life me think you'll ever make $120K back on a heifer. I'm glad there are some folks who can do it, but I'm pretty sure that I would just be throwing $120K away. It will be interesting to see how her numbers stack up once she starts having some calves. If it ain't real, it ain't real. You heard it here first.